The cats will live at The Wildcat Sanctuary the rest of their lives. Unlike a dog or cat with a traditional family, being a wild animal, our cats have a family of sponsors – a family you’re invited to join! You can easily purchase your sponsorship online by clicking on the type cat you’d like to sponsor in the form above. Then, follow the directions on each drop-down menu. Download our sponsor form HERE and mail it in with your annual payment. You can pay by check or fill in the information on the downloaded form for your credit card to be charged. If you’d like your sponsorship divided into monthly payments, be sure to check that option off on the downloaded sponsorship form you mail in. If paying by credit card, please call our office at 320-245-6871 or email info@wildcatsanctuary.org so we can set up a recurring monthly credit card charge for you. Our SPONSOR-A-WILD-ONE program lets you feel a special connection to our cats – from a safe distance! As a Sponsor Parent, you’ll receive the personal story of your sponsored wildcat along with photos. For those who would like updates throughout the year, just email us at cat@wildcatsanctuary.org when you want an update or have a specific question. Thank you for considering this wonderful way to help the cats here at the Sanctuary! By sponsoring a cat, you’re helping The Wildcat Sanctuary provide the very best care for all the cats that reside here. The proceeds from the sponsorship program fund nutritionally balanced diets and vitamins, excellent veterinary care, free-roaming habitats, toys and enrichment. Even though your sponsorship support helps all of our cats, we encourage you to choose a cat you can get to know better. I had a difficult time choosing which beautiful cat to sponsor. I wish I could sponsor them all so I decided this will become my new “special gift of choice” to the people in my life who appreciate and understand the important work your staff and facility provide to these wonderful animals. I’m excited about future sponsirships in the names of special people in my life who will enjoy receiving the updates on their sponsored cat. Wishing you and your residents blessings. I wish I had the money to sponser a leopard.. this breaks my heart. I wish I could sponsor a tiger, they are my favorite animal. They are absolutely gorgeous. I’m getting a settlement for an injury in a car accident, so I may be able to sponsor one of these beauties. I would love to do so. I am very interested in sponsoring a medium cat, and a big car when I can afford to. Wonderful program and the first charity that really got to me in a way of making me smile and also wanting to help. can I do the sponsorship monthly (break the yearly amount into monthly payments)? oh i wish i could sponser Misha & Max! And the Bengals too! Looking at each of them and reading their story makes me feel happy for the continued support of TWS to them but also, it makes me sad, that i cannot actively n financially support them. i hope one day, i’ll be able to sponser them and/or get a chance to meet them for i love cats, all kinds and i really want to help out! 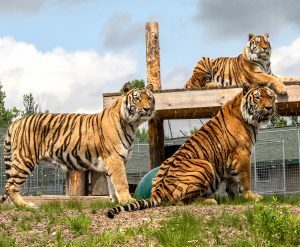 I think the sponsorship program is a very unique way to help the Wildcat Sanctuary and it’s residents. I will definitely sign up to sponsor Scarlet the clouded leopard next year. Best wishes for her and all of the cats at Wildcat Sanctuary! I love ALL Cats. And would love to sponsor a cat as soon as I recieve my income.I will be in touch, and I hope you be in touch with me. I will pray for all the cats at the cat sanctuary, and for the Sanctuary it’s self. God Bless you all. can I break down sponsoring Baby Jenga into monthly payments? I would love to sponsor Ramsey or a smaller cat, but am on a fixed income and can’t even afford the $12.50/mo for a small cat. If all those that “like” TWS would donate even $1.00 per month it would be a big help. Right?! I am very excited to be able to sponsor a big cat…now my only worry is which one??? This is an excellent idea. Have sponsored a Bengal for my mom, Diana. I have long been an advocate for wild cats who have been forced to be located in sanctuaries and currently support efforts to stabilize natural habitats for Tigers in particular. Via my company, Rivertiger Arts, we continue to monitor your site and the animals you protect and monetarily support efforts to protect wild cats. At this time, our funding has been placed elsewhere but please know that your organization is one of our top 5 around the world and that we will continue to give charitably as funds allow. Keep up the fantastic work! We appreciate that so very much! You made our month with this very kind news. Thank you for being an advocate for the cats and our mission. Hi, I know, that it is IMPOSSIBLE to keep wild animals in a home. So what I did, I sponsored SHAZAM (for a year)…………and was sent a beautiful picture of him. (and some information on him) 8X10, and I bought and framed it………..that is how I was able to get a wild cat into my home. I appreciate what TWS does with their cats, and how well the cats are cared for. TWS has not heard the last of me yet………LOL………I will sponsor another one in the new year. Thanks for reading my posting. Thank you so much Barb for your sponsorship! It truly does make a difference in Shazam’s life. I just sponsored Baby Jenga, and when looking through your gift shop I saw that he’s on a card. It might just be great photography, but he certainly seems to be full of personality! It’s obvious that he’s getting great care. Thank you for all you do! Thank you so much Wendy! Your sponsorship means the world to us and Baby Jenga. I wish I could sponsor every one- I wish you all the best and luck- you have made me think what to ask people for Christmas , Birthdays- it will be a donation. Please keep me informed of your facility . I will donate when I can. I did get your calendar for 2016 . Thanks for all your hard work! I am going to sponsor a tiger. Would Callie be available? She has the sweetest face. If not how will I find out which tiger I have sponsored? I spoke to your office today I pledge an amount to be sent via certified check. I just enjoy all the pics and videos. My husband pass away several years ago and we only had 4 legged children. So this donation will I’m sure make him happy as it does me. . THANK YOU ALL for the work and compaction you give to all the animals. I am sorry we didn’t see your comment sooner. Our big cats have more than one sponsor since it take several thousand dollars to cover their care a year. Callie is available for sponsorship and would love your support. Thank you Allison for the kind words and support through purchasing a calendar!! It all helps. Wow! Thank you so much for your kind support. We are so happy to have you part of our feline family. Thank you for honoring your husband in such a special way. It means so much to us. Started the yearly sponsorship of your White Tiger Jeremy! Thanks for the packet info, certificate, and awesome 8X10 of Jeremy! Plan on helping out for years to come! Keep up the great work! Danny – Thank you for becoming an important part of our feline family and a sponsor parent to Jeremy!! Your support means the world to us and the cats. It has been very fun to watch Jeremy and Simon grow up at the Sanctuary and we can’t wait to share their future antics with you. You need to have an area on the screen where people can donate $1.00 or $5.00 or any small amount and feel comfortable about it. The photos that you put on the screen are really pretty and the cat with the snowman is funny. I just gave to Panther Ridge in Florida because I saw a black cat that I liked the looks of called Amos. Have a Happy New Year 2016 also. And everyone amount helps the cats! Robin – Thank you!! That is very special and I know you will find out soon which special cougar you will be sponsoring. Thank you for caring enough to help. It means the world to them and us. As much as I would love to sponsor one of the big cats I can’t commit to that large an amount on a regular basis, so I choose to just donate $100 when I can and you can use it wherever it’s needed most. Thank you for all you do for these magnificent animals! And thank you for sharing them with us on the internet! Kathleen – Every gift means so much to us and the cats! Thank you very much for joining our feline family. We are excited to share the sanctuary with you because you make our work possible. Chuffs and purrs. Thank you so much Nancy! Your sponsorship of Blaze is so very appreciated! We are hoping to introduce all 4 together over the next month. We will keep you posted on how it goes. Sandra – Every amount helps the cats! Even sharing our posts helps! Thank you for caring about them as much as we do. i do not have a card do you take money orders? also can you send flyers and info through regular mail? Hello Vincent – Yes, we do accept money orders. Our sponsor coordinator will email you with the information. Thank you for wanting to help the cats in such a special way. My daughter Syd asked for donations this year for Christmas. She just sent a sponsorship for Ramsey. She would love to learn more about him and how her sponsorship will be used. Will TWS send her more info about him? Jamie – Thank you for being a special sponsor parent! Bella is one of the cutest bobcats ever. Her ears are so distinctive. Thank you so much Aimee for being a sponsor mom to Jewel. She is a shy girl, but so very special. Thank you for considering being a sponsor parent. It is a great way to get involved! I’m so proud to be a sponsor of Aurora and Safiya. 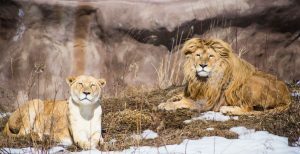 My favorite cats were always Lions, so you would think my first sponsorship would have been Shanti Deva, but as I looked through all the beautiful pictures I found myself going back to Aurora. (I also have a great niece named Aurora, who we call Rory) She touched my heart and I knew I had to sponsor her. Next came Safiya, I have always admired Egyptian Maus, and always said that was my “dream breed”, but I don’t agree with breeders of any type of animal, so I called to add her to my TWS family before she even had an official name. All my life I struggled with money, but it’s such a small thing to help not just the cats but the staff. Coming from an animal shelter background I know what it’s like to worry each day that everyone will have what they need to live the best life possible. I’m proud to make the small personal sacrifices I need to so that The Wildcat Sanctuary can always say Yes! Some day I will add to my TWS feline family. No one should feel bad fir not being able to sponsor, educate, share, advocate, volunteer at a shelter close to you in honor or one of the cats. There are so many ways to help TWS, it’s not all about money. Sponsored one of the big new cats, thank you for rescuing them and giving them a safe place to call home. Many blessings your way! Thank you so much for your compassionate support Kate and Karla. You make life very special for the cats! !